It's Chinese New Year already (almost there anyway) and i've had my fair share of yusheng (chinese salad) even before 2015 started. Well well, you guys would know how hard it is to get a table at a good chinese restaurant for CNY reunion right? Here's introducing the offerings at Yan Ting (one of my ultimate favorite chinese restaurants) at The St. Regis Singapore. The Prosperity 'Yu Sheng' with Norwegian Salmon had a nice crunch to it though i felt that the vegetables were kinda thinly shredded. Absolutely loved the fried taro strips and the refreshing sweetness of the snow pear. Adding more zest to the mix was the passion fruit that's in the plum sauce, though i failed to detect any bit of it. The Pun Choy is my favorite Chinese New Year dish and Yan Ting's Pun Choy is of the highest quality. 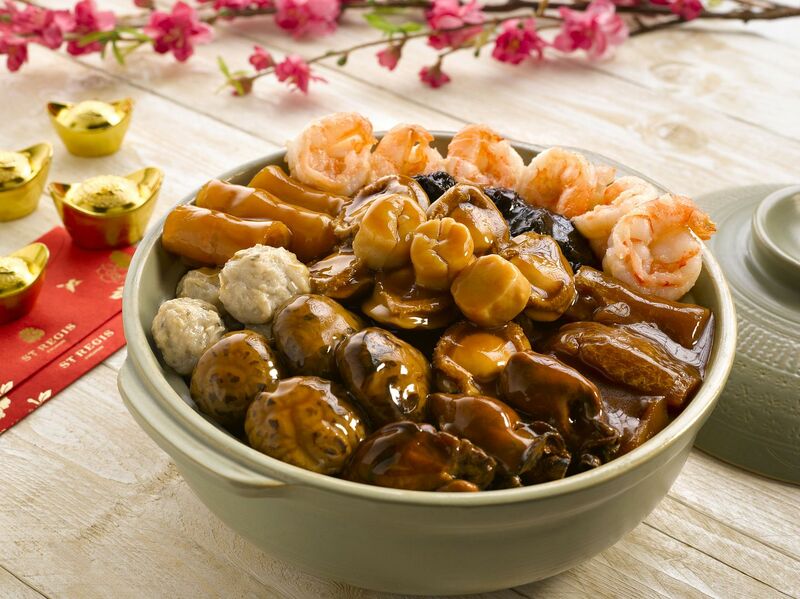 There are more than 14 ingredients in this one which includes delicacies like abalone, dried oysters, scallops and mussels, fish maw, succulent prawns and more. These ingredients are braised in a superbly tasty superior stock that is uber umami. I could simply have this dish with rice and nothing else. And it looked exactly as advertised! Haha. Of course, meat dishes are a must and i'd highly recommend the Fortune Barbeque Platter from the a la carte menu, which features suckling pig, roasted duck, barbeque pork and marinated jelly fish. I'm not a huge fan of roast chickens during new year dinners but i was taken with that Crispy Roasted Chicken with Truffles. Even the breast meat was juicy and tender and that paper thin chicken skin broke my resolution not to take the fats. And of course, there's truffles to enhance the dish a wee more. 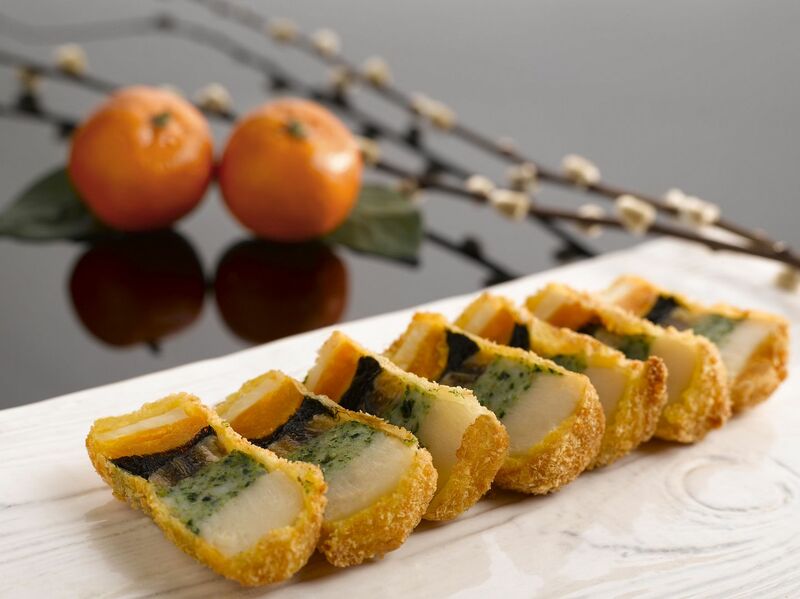 We also sampled the newly introduced Crispy Prosperity Roll with scallops, banana and salted egg. It's a pretty dish with the mix of colors from the water chestnut, prawn and vegetable paste, as well as black moss. However, i thought the combination was a wee strange especially with the introduction of that banana. Who can resist a simple Sauteed Prawns and Scallops in Black Bean Sauce? Certainly not me! The Wok-fried Glutinous Rice with Wind-dried Sausages was disappointing with the lack of flavor and dry grains. I only picked at the lup cheong duh! I thought the Avocado Sago cream with ice cream would satisfy my avocado craving (I was too full to order the avocado dessert from Min Jiang just a few days back). However, the dish was missing that rich creamy texture! BAH! Where is my avocado!!! It tasted more like mango sago pomelo (杨枝甘露) instead. Hits and misses this time at Yan Ting but one thing I can't fault is the fresh and quality ingredients. 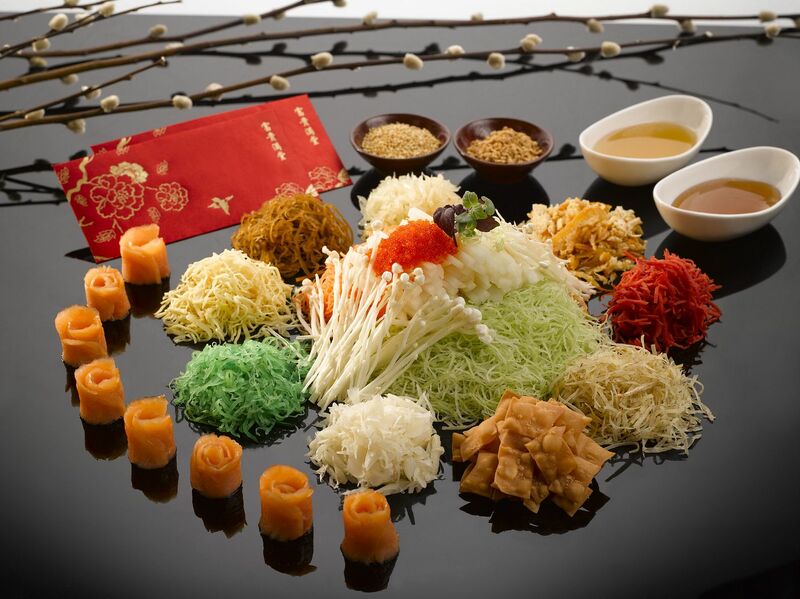 For more on the CNY dining menus at Yan Ting, click here! They are available from 1 Feb to 5 Mar 2015. 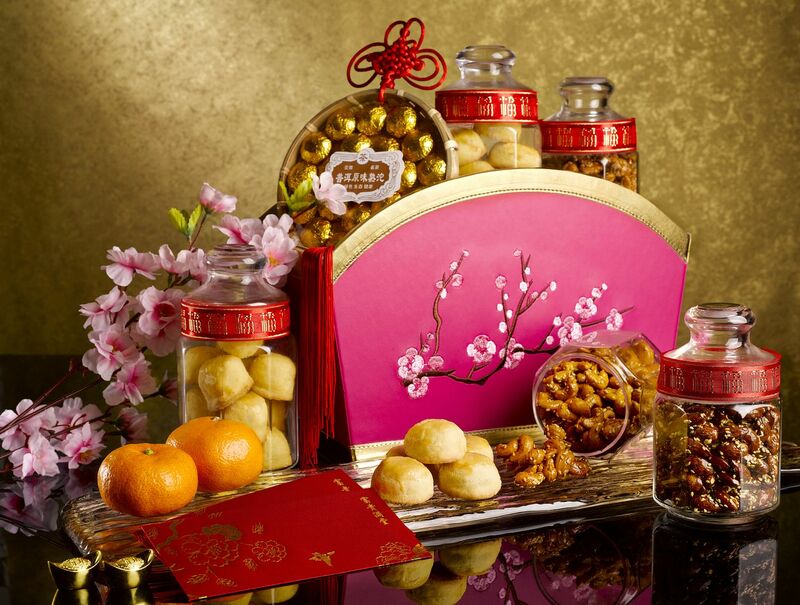 The Pun Choy (MUST ORDER) and Yu Sheng, among other yummy goodies and hampers are available for takeaway as well from 15 Jan to 5 Mar 2015.